Acknowledged author Jonathan Berk wrote Fundamentals of Corporate Finance Plus MyFinanceLab with Pearson eText -- Access Card Package (4th Edition) comprising 9998 pages back in 2017. Textbook and etextbook are published under ISBN 0134641698 and 9780134641690. 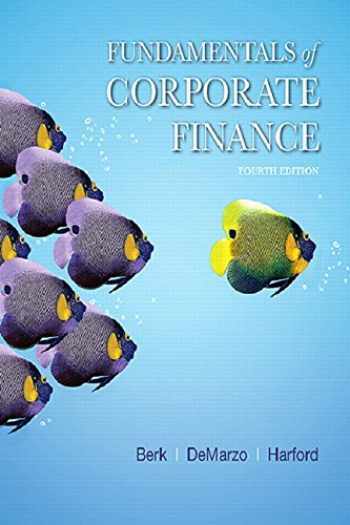 Since then Fundamentals of Corporate Finance Plus MyFinanceLab with Pearson eText -- Access Card Package (4th Edition) textbook received total rating of 4 stars and was available to sell back to BooksRun online for the top buyback price of $101.78 or rent at the marketplace.